Do credit card companies deserve the scorn and vitriol that is heaped on them? Are Visa and MasterCard - or the banks that issue them - really the Simon Cowells of the financial world? Well, yeah. At least according to a new study by Pew Charitable Trusts, which found that practices labeled "unfair or deceptive" by the Federal Reserve are now as widespread as, or even more common than, before Congress passed the consumer protection credit card law in May. What's more, with new federal credit card rules coming in February, issuers are instituting new fees and getting stingier with rewards. Bank of America, for instance, is socking some customers with $29 to $99 annual fees if they don't charge enough or if their credit has deteriorated. Citigroup is "testing" $30 to $90 annual fees for some of its cardholders spending less than $2,400 a year. 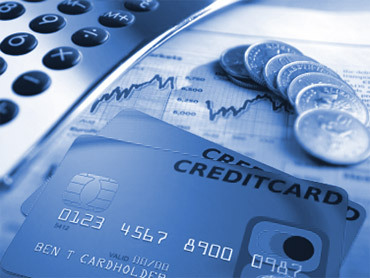 But MoneyWatch's exhaustive analysis will show you the best cards for your needs. So what's in your wallet, anyway? If travel rewards are your priority, Capital One may be your best bet. Otherwise, there are better options. To find the best cards, MoneyWatch consulted the experts at Bankrate.com, LowCards.com, CardRatings.com, BillShrink, and Consumer Action. Then we pored over dozens of contenders to come up with the most generous and least expensive options. At the first three of those sites, you can search among more than 1,000 cards for the best deals. BillShrink lets you compare more than 200 cards against the ones you now have, to see if there are better choices for the way you use plastic. Here are the best cards, depending on how you charge. Our first tidbit of advice to anyone who carries a monthly credit card balance is to pay it off. Now. But on the assumption that you've heard that before, we'll stop lecturing. If you think paying outrageous interest expenses is a good idea, at least sign up for a low-interest-rate card with no annual fee. Steer clear of cash-back and rewards cards, because their rates are high and you'll never earn enough rewards to justify the interest you'll pay. And look out: Even the lowest card rates are likely to be higher than a year ago, when several issuers hawked cards with single-digit fixed rates. Today, the average rate for someone with a 700 FICO score is 11.4 percent (among the top 50 card issuers), according to Greg McBride, a senior financial analyst with Bankrate.com. You'll pay a higher rate if you have a lower credit score. Fixed-rate cards are becoming an endangered species. Many have morphed into variable rates, transferring the risk of rising rates from issuers to borrowers. And the way those rates are set has become costlier for cardholders. Many issuers are increasing the margin over the prime rate (currently around 3 percent) that they use to set variable rates, says Linda Sherry, director of national priorities at Consumer Action, a national consumer advocacy organization. Chase's Freedom Visa Card, which cost prime plus 7.25 to 9.99 percent in 2008, now costs prime plus 8.99 to 17.99 percent. Keep in mind that the lowest advertised rates - the ones cited below - are available only to consumers with the best credit scores. If you get an offer for a new card in the mail, Sherry recommends checking to see if it is labeled as a prescreened or preapproved offer. "If the letter says you have been preapproved at a specific rate, they have to honor that rate," she says. Many of the lowest-rate cards are offered by credit unions, such as the Visa available from the Addison Avenue Federal Credit Union, based in Palo Alto, Calif. (5.24 percent variable; 877-233-4766). To apply, you must open and maintain a $5 balance in an Addison savings account. In the Pew study, the median interest rate on cards from the 12 largest credit unions was about 20 percent lower than comparable bank-card rates. Find out which credit unions are available in your area or through your employer, or check Bankrate.com to compare rates for national credit unions, along with membership requirements and any fees. You can also find cards with low variable rates and no annual fees at regional banks that aren't household names. Two good examples are the Simmons First National Bank Visa Platinum (7.25 percent; 800-272-2102) and the IberiaBank Visa Classic (8.75 percent; 800-968-0801). You might also want to consider the new variable-rate Chase Slate Visa or MasterCard with Blueprint (13.24 percent; 800-432-3117). Slate's Blueprint feature means you'll pay zero interest on designated everyday purchases you pay in full each month and interest only on larger, occasional purchases. "I think this can be a very helpful tool if a person uses it correctly," Sherry says. "And I don't know of anyone else doing anything like it." But be sure to stick to your financial diet: If you cheat on the payment plan and don't pay your everyday purchases in full, you'll owe interest on those too. A card's interest rate won't matter to you, since you won't incur interest. So get a cash-back or rewards card that lowers the cost of your everyday purchases or travel. Rates on these types of cards are often on the high side, but that's irrelevant if you religiously pay off your cards. Cash-back cards refund a portion of what you spend on certain items in certain stores or, sometimes, on every purchase. Some cards provide a flat 1 percent refund; others boost the rebate for products in certain categories, such as 5 percent on grocery or drugstore purchases, or for products bought during certain times of the year, such as a rebate on home improvement products purchased in the spring. •	American Express BlueCash (17.25 percent variable; 800-528-4800). Blue Cash pays back 0.5 to 1.25 percent on everyday purchases and 1 to 5 percent on select items, including groceries and gasoline. Reward rates are based on your annual spending, with the highest cash-back rates for customers spending more than $6,500 per year. •	Chase Sapphire Visa and MasterCard (12.24 percent variable; 800-432-3117). This card earns 1 point for every dollar spent; 2 points for every dollar spent on airfare booked through its affiliated travel agency; and 10 points for every dollar spent through its online "mall," whose offerings range from electronics to sporting goods. There's no limit on the number of points you can earn. •	Discover More (11.99 percent variable; 800-347-2683). You earn up to 1 percent back on many everyday purchases and up to 5 percent on categories such as travel, gasoline, department stores, groceries, and restaurants. The categories change seasonally. •	Pentagon Federal Credit Union Visa Platinum (13.99 percent fixed; 800-247-5626). Although there is no annual fee, you'll pay a one-time $20 fee to join the credit union. The card pays back 5 percent on gas, 2 percent on groceries, and 1.25 percent on all other purchases. •	Bank of America/Merrill Lynch Total Merrill Cash Back (9.99 percent variable; for Merrill Lynch customers only; 800-637-7455). This card pays back 1.25 percent on all purchases, depositing the cash in your Merrill Lynch account. •	Costco/American Express TrueEarnings (15.24 percent variable; no annual fee for Costco members; 800-223-2670). Pays 3 percent back on the first $3,000 in gasoline purchases and 1 percent back on all subsequent gasoline purchases. The card also refunds 3 percent for purchases in restaurants, 2 percent for travel, and 1 percent everywhere else. •	FidelityInvestment Rewards American Express (13.99 percent variable; for Fidelity customers only; 866-598-4971). This card pays back 2 percent on all annual purchases, deposited in your Fidelity account. Fidelity also has a Visa Investment Rewards card that pays back 1.5 percent on annual purchases up to $15,000 and 2 percent on purchases above $15,000. •	Schwab Bank Invest First Visa (13.24 percent variable; for Schwab customers only; 866-724-9223). This card pays back 2 percent on all purchases, depositing the cash in your Schwab account. Travel cards, the original rewards cards, allow you to earn points you can use to buy airline tickets and hotel stays. But for flexibility and maximum value, Curtis Arnold, founder of CardRatings.com and author of How You Can Profit From Credit Cards, offers this advice: Steer clear of a card from a particular airline unless you fly that carrier often. Instead, use a card such as the two below that offer points on any airline and no redemption fees. Then you can use your points to cut the cost of the ticket and won't have to worry about blackout dates. Understand, however, that the value of those miles is going down. "In the past, 25,000 miles would get you a coast-to-coast airline ticket on the Capital One No Hassle Miles card," Arnold says. "Today, that buys you a $250 ticket with most rewards programs." •	Capital One No Hassle Miles Rewards (13.9 percent variable; 800-410-0020). Despite the change in how it doles out rewards, Arnold still says Capital One's card is worth considering, because it has fewer restrictions than an airline card. The card earns 1 mile per dollar on the first $1,000 spent in a billing period and 2 miles per dollar after that. Miles can be redeemed for air travel, hotel rooms, and other travel purchases at the rate of 100 miles per dollar. So to get a $300 ticket, you'd need 30,000 miles. That's the equivalent of charging $15,500 in one billing period or, since the mileage rate starts anew each cycle, a higher amount over a longer period. •	Citigroup Citi PremierPass (12.99 percent variable; 800-967-9800). This card is more generous than Capital One's, because you get bonus points for using the card to book flights. The card earns 1 point for every dollar spent normally, plus 1 point for every 3 miles flown on any airline. Pay $500 for a round-trip ticket from New York to Los Angeles and you'll earn 2,500 points - 2,000 points from the ticket purchase and 9,000 points for the flight. The catch: You can't rack up more than 100,000 points in a year, including 50,000 points for air miles. As with the Capital One card, 25,000 points buys a $250 ticket. A few issuers offer elite cards with premium perks, such as an outing with a celebrity, sold-out concert tickets, or last-minute reservations at hot restaurants. They charge premium annual fees, though. Whether you think you'll get your money's worth with, say, a $450 American Express Platinum depends on whether it offers unique services you can't get anywhere else - and, of course, if those services are worth a steep fee. To qualifying for these cards, you'll need not only a stellar credit score but also a rarefied income. •	Barclays Bank Visa Black (13.24 percent variable; $495 annual fee; 866-252-2522). In case the annual fee didn't make it clear, this is literally not your ordinary plastic: It's made of carbon graphite. Membership is allegedly "limited to only 1 percent of U.S. residents," who get 24-hour concierge service covering everything from reservations at exclusive restaurants to assistance locating rare books. Need 12 Arabian horses for your daughter's wedding in Dubai? It can be arranged. You also get access to airport lounges in 500 airports and a choice of 1 percent cash back on purchases for every $1 spent or points that can be redeemed on any airline at any time. •	American Express Platinum (balances must be paid in full monthly; $450 annual fee; 800-223-2670). This card earns 1 point for every dollar spent, 4 points for purchases made with 200 retailers (from Saks to Gap) through AmEx's "mall," and 2 points for every dollar spent on travel booked through AmEx's travel service. The 24-hour concierge service can arrange reservations at five-star restaurants worldwide, plus tickets to exclusive music and theater events. • Can You Get Credit Now?